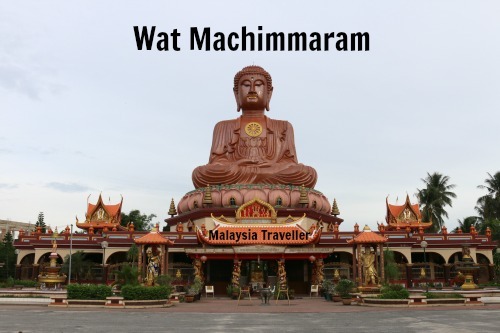 Wat Machimmaram is an impressive Thai Buddhist Temple with a giant sitting Buddha statue located in the Tumpat district of Kelantan, about 20 km from Kota Bharu. Tumpat is the northernmost part of Kelantan and borders Thailand so it is not surprising that there is an ethnic Thai community here. 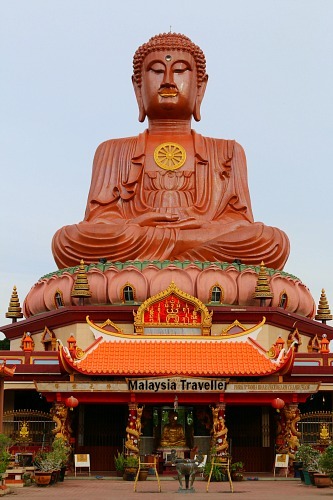 The temple is a shining example of Malaysia’s famed religious tolerance where a Buddhist monument of this prominence can be built in a state like Kelantan which is overwhelmingly Muslim. The huge sitting Buddha statue is around 30 metres high. It is often mistakenly described as the tallest in southeast Asia. 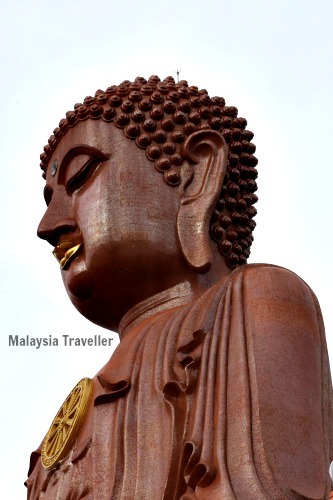 It may have been when it was completed in 2001 but has since been dwarfed by the Great Buddha of Thailand in Ang Thong province which opened in 2008 with a height of 92 m.
This seated Buddha is similar in size to that at Hong Kong’s Tian Tan temple on Lantau Island. On close inspection the Buddha statue appears to be coated with tiny shiny mosaic tiles. The Buddha’s bottom lip is coated in gold, possibly gold leaf, paint or gold plated. The statue sits cross-legged on a representation of a lotus flower which forms the roof of the temple. Windows in the petals of the lotus give an idea of the scale of the statue. 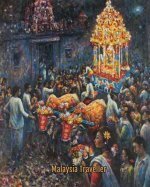 Inside the temple are murals and frescoes in both Thai and Chinese styles. The entrance to the temple is inscribed with the date 1991, perhaps when construction commenced as it took a team of Thai workers ten years to complete the temple. The inscription also bears the name Phra Buddha Bharameedharm Chamruslok in English, Thai and Chinese characters. 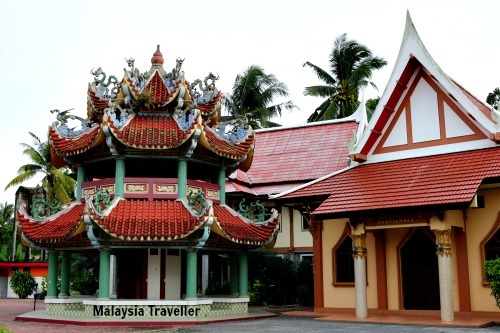 The architecture of the temple compound is a blend of Thai and Chinese influences such as the guardian deity statues which are typically Chinese. There is a turtle pool and an amulet shop. Food and drinks are served here. Open from 9am to 5pm. Rest Time 12:30pm - 2pm. 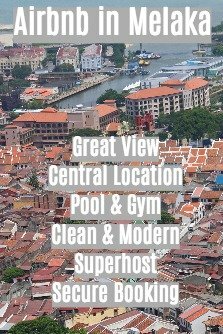 I have marked the exact location on the map on my Top Kelantan Attractions page. There is a free car park for temple goers. Tumpat is the final station on the Jungle Railway. If you arrive by train, the station is about 10 km from the temple so you would need a bus or taxi. Since you are less than 2 km from the Thai border you might want to cross into Thailand for some authentic Thai food. You can catch a boat across the river border at Pengkalan Kubor provided the Immigration offices on both sides of the border agree.